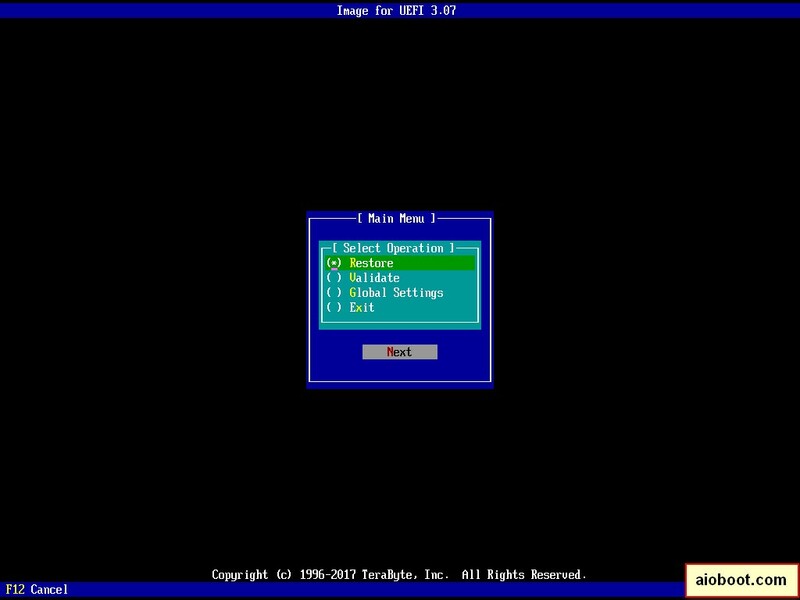 TeraByte Unlimited • View topic - Decade long Image for DOS user need UEFI and new program? What i loved about image for dos is it's small size, bootable outside of the OS and it general reliance. Never had a problem with it for like i said over a decade, that is some quality software right there! Just put together a new 2600 Ryzen gaming system on a x470 motherboard. First time using nvme m.2 SSD's and i really need some software to back up my partition like image for Dos did for me for all these years. in the manual it says "Image for DOS (IFD) will not boot on UEFI systems configured in UEFI mode. To boot on these systems Secure Boot must be disabled and you must enable or use Legacy mode." There is a long walk-through to get IFD to work with UEFI but if TeraByte Unlimited has newer software that natively supports UEFI and is like IFD i would love to get some newer software. So what software from TeraByte Unlimited runs outside of windows and will let me back up partitions with UEFI support? Thanks! > let me back up partitions with UEFI support? Thanks! Image for UEFI sounds like what i want, sound like Image for Dos but for UEFI systems. That is the interface i am so familiar with but with UEFI. Do you have a direct link on where to purchase Image for UEFI? You don't need to be running Linux to use IFL. IFL boots to its own Linux OS. Image for UEFI (IFU) is included with IFW and BootIt UEFI. >You don't need to be running Linux to use IFL. IFL boots to its own Linux OS. True what DrTeeth said regarding the speed of IFL vs. IFD. I think, but am not 100% sure, that the same will be the case for IFL vs. IFU. I too would recommend IFL. It has proven the fastest in my tests, plus I like the Partition Work tool (requires a separate BootIt BM license).